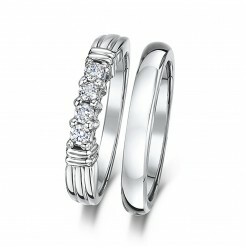 Buying two separate bridal rings can become an expensive deal. 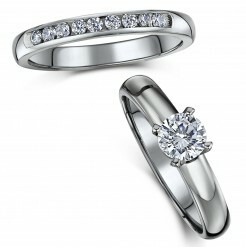 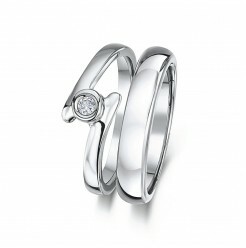 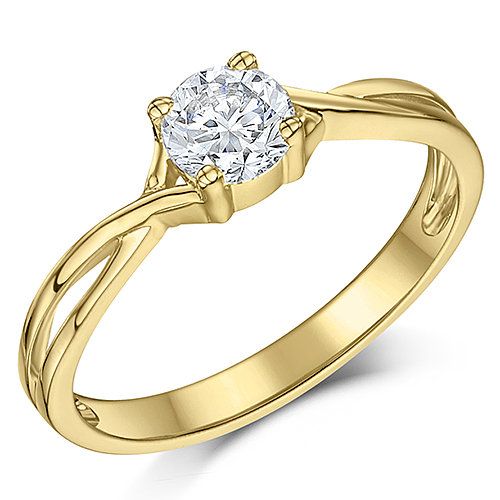 Elma offers affordable wedding ring sets for both the engagement as well as the wedding. 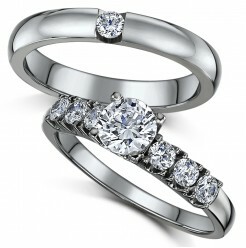 You can either opt to buy a titanium or cobalt engagement ring set. 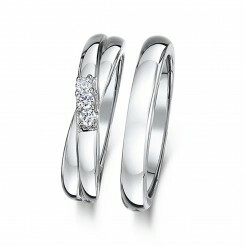 Both titanium and cobalt are hypoallergenic and can be resized (titanium resizing might be limited). 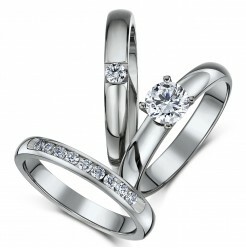 Do not let our competitive pricing deceive you, we at Elma use genuine cobalt and titanium to meticulously craft bridal sets. 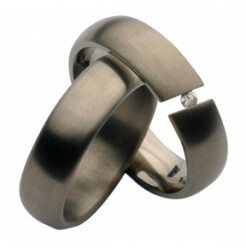 Among other offerings, we have plain wedding band sets made using black titanium, studded with a bold CZ solitaire stone. 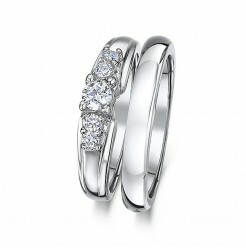 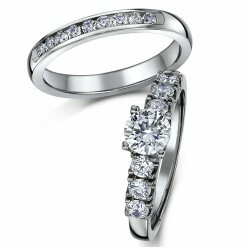 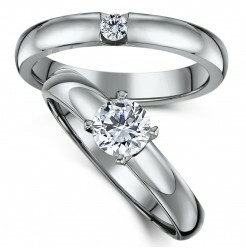 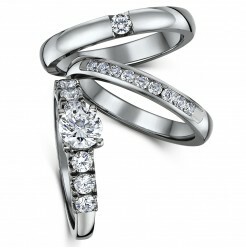 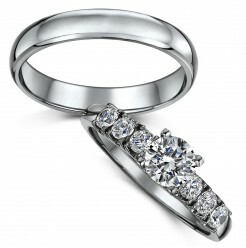 You can check out our wedding ring sets with two rings or the set with three rings. 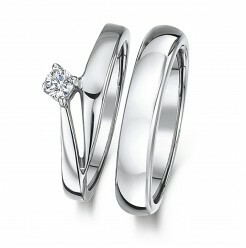 The individual rings that make up our simple wedding ring sets are not the same for all sets. 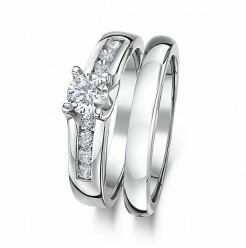 The unique designs and combinations make up our collection of bridal ring sets.